The following scripts are supplied and can be directly used. In all scripts, a password is firstly selected in the upper section. This is not the password that will be reset on the target system. Instead, a user should be entered here that can complete the rest of the process on the target system. This password thus requires administrative rights to the target system. A delay can also be configured in every script. This may be necessary, for example, if a password is changed in AD and it is firstly distributed to other controllers. This script is responsible for changing passwords for Active Directory users (domain users). Access to Active Directory is configured here under Hostname. This script changes the access data within a service. Both the user and also the password can be changed. The host name – i.e. the target computer – and the service name are saved here. Please note that the display name for the service needs to be used. This script can be used to reset the passwords for local Windows users. Only the host name needs to be saved here. Linux users can also be reset in the same way as Windows users. It is also only necessary to enter the host name and the port here. This script resets passwords for local MSSQL users. 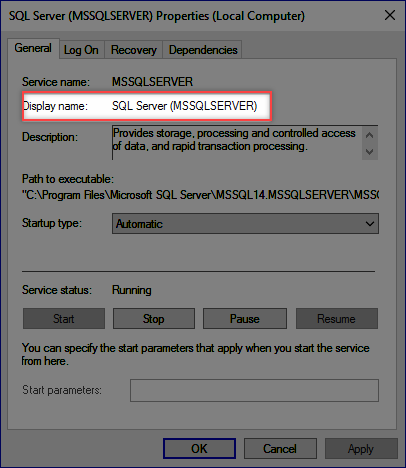 It is only necessary to enter the MSSQL instance and the port. 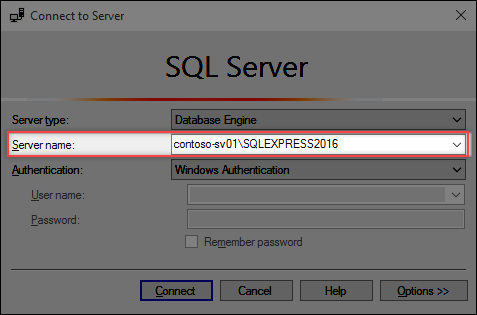 The name of the MSSQL instance can be taken from the login window for the SQL Management Studio. If a domain user is being used to log in to the SQL server, the user needs to be managed via the script Active Directory user. 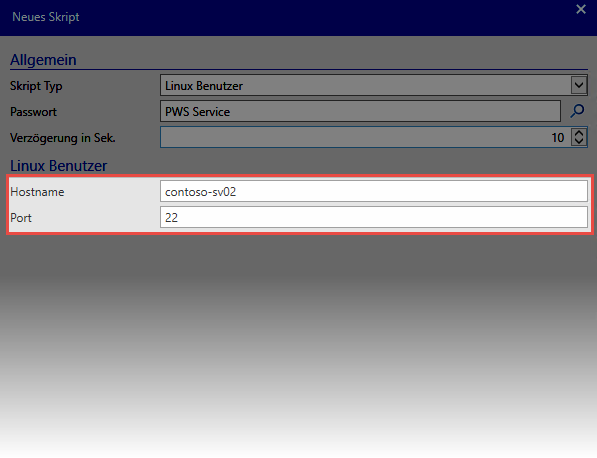 The passwords for users of Windows Task Scheduler can be changed using this script. The host name of the computer on which the task will run and the name of the task itself are entered.